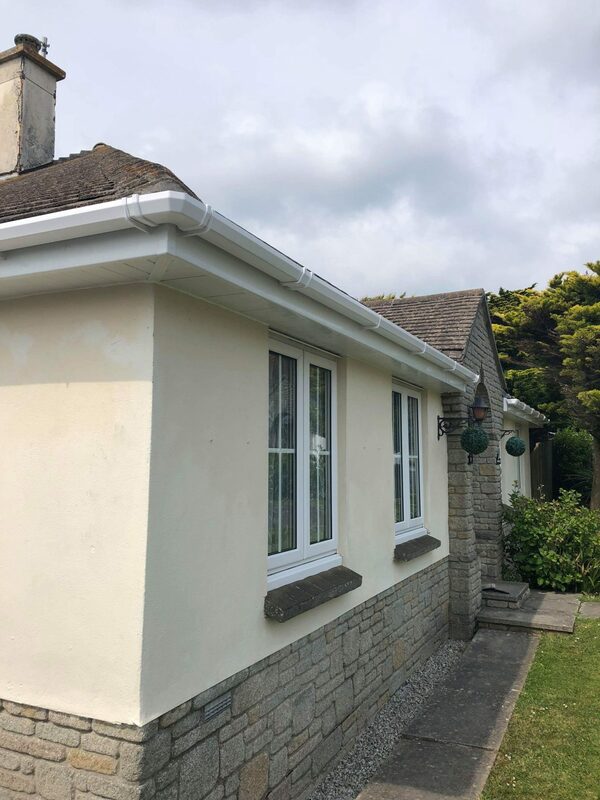 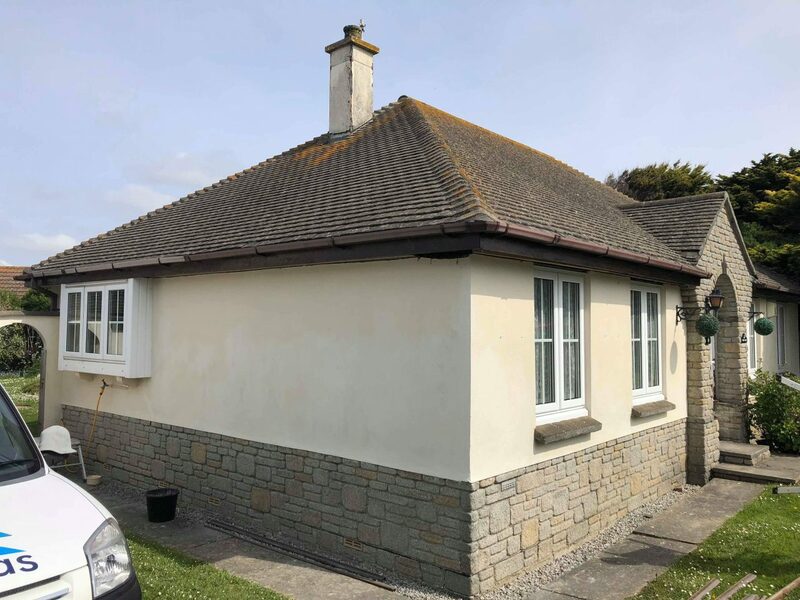 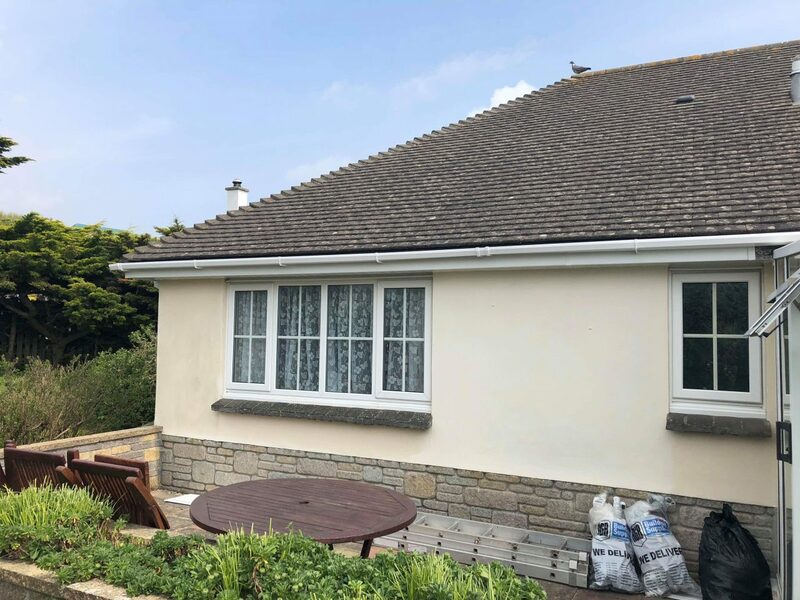 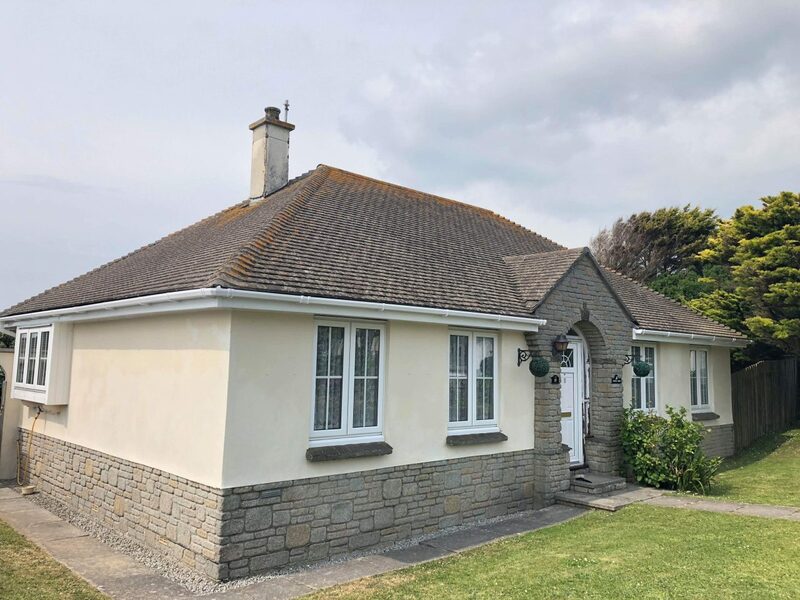 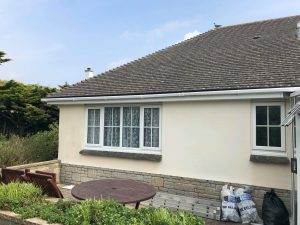 Another quality installation by James and Ryan on a bungalow at Mullion. 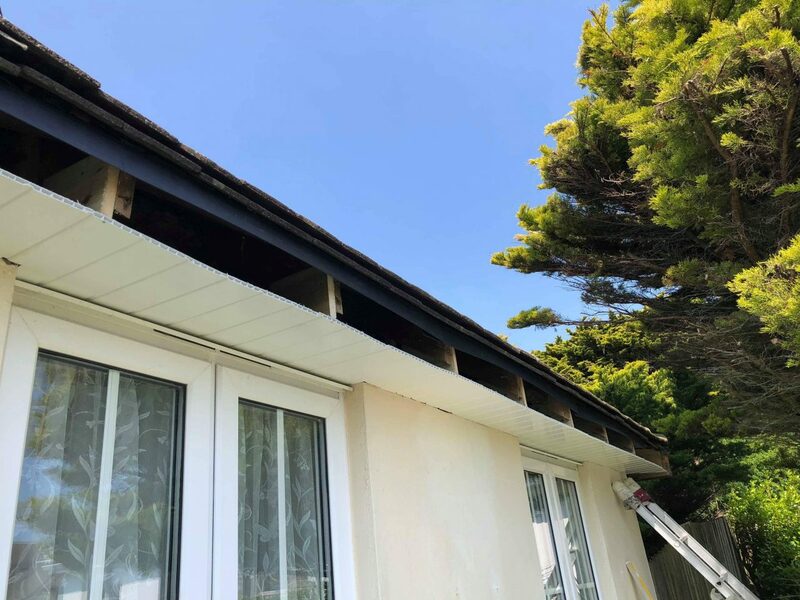 They have installed new white 18mm Eurocell fascia board with 9mm white hollow shiplap soffit. 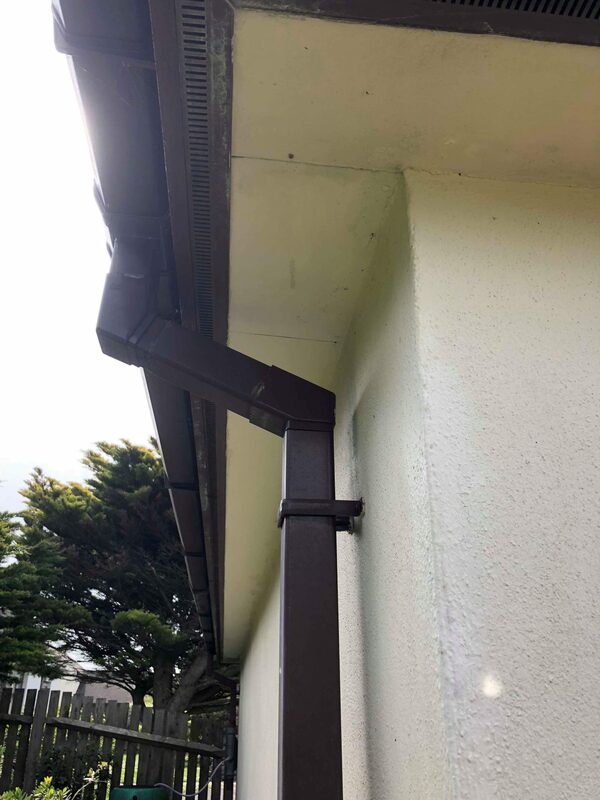 Also installed are over fascia vents with felt trays to allow air to circulate and make sure the edges of the felt are picked up and working correct with felt trays. 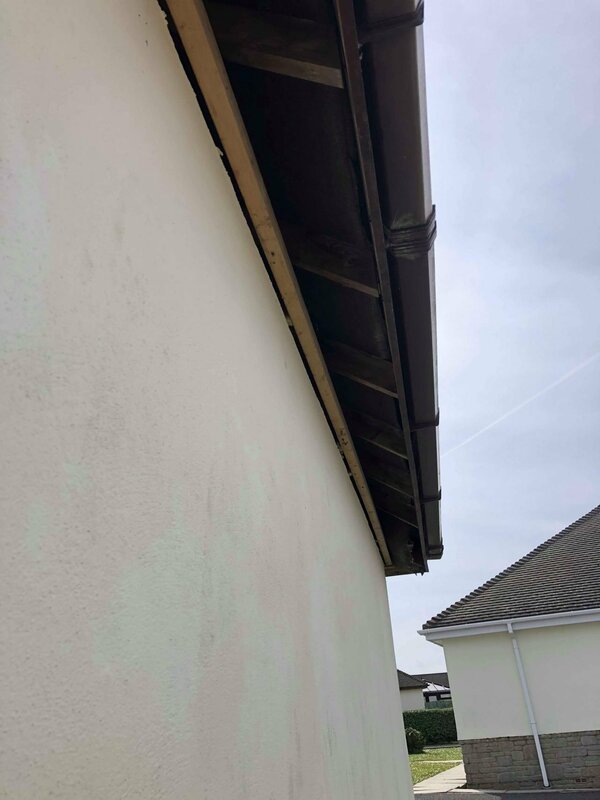 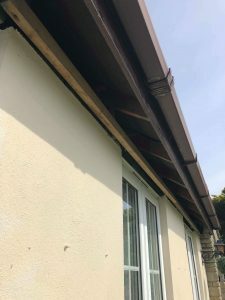 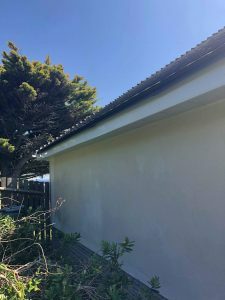 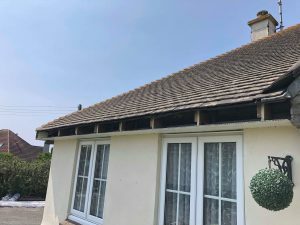 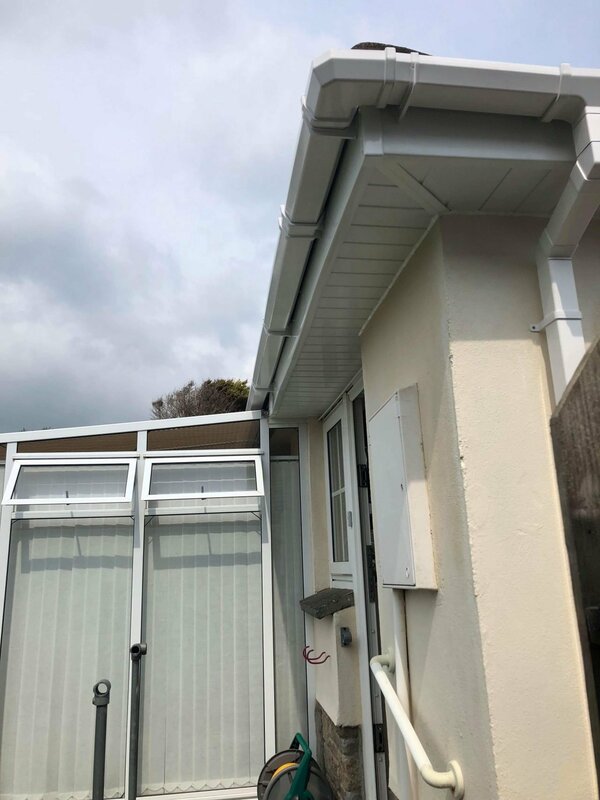 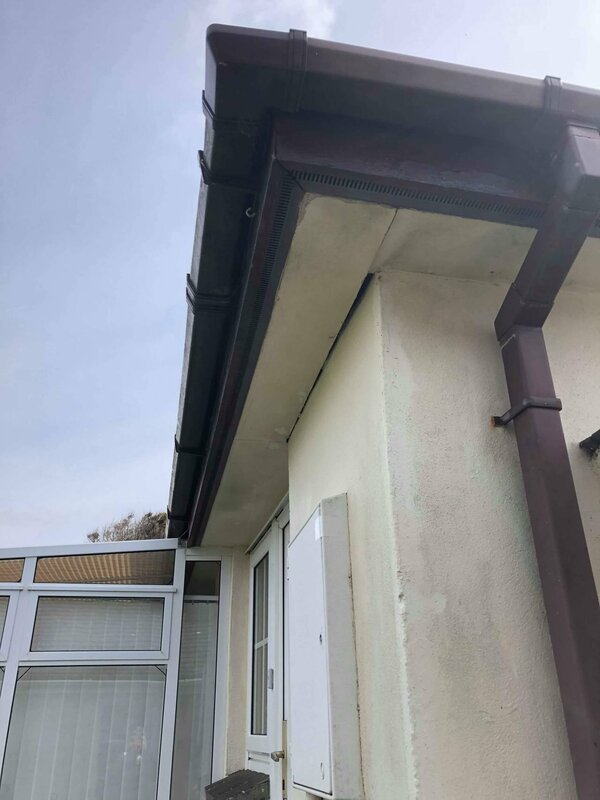 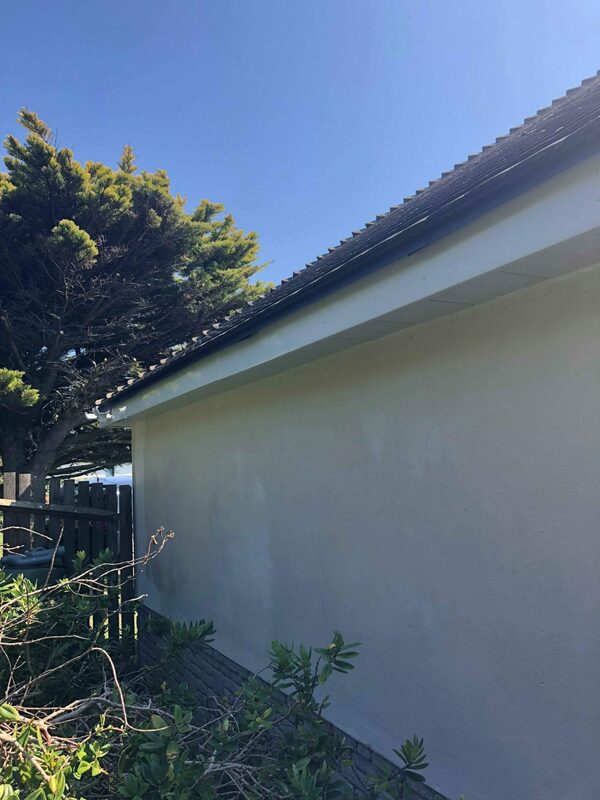 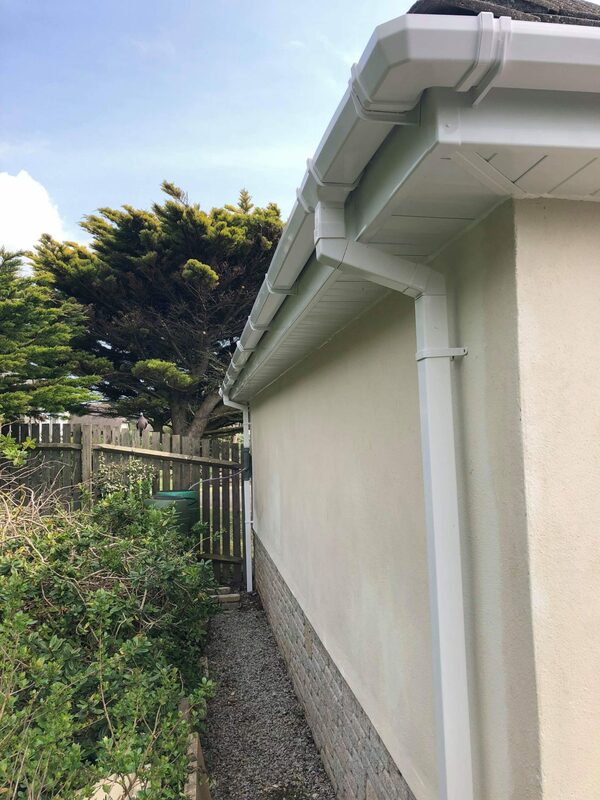 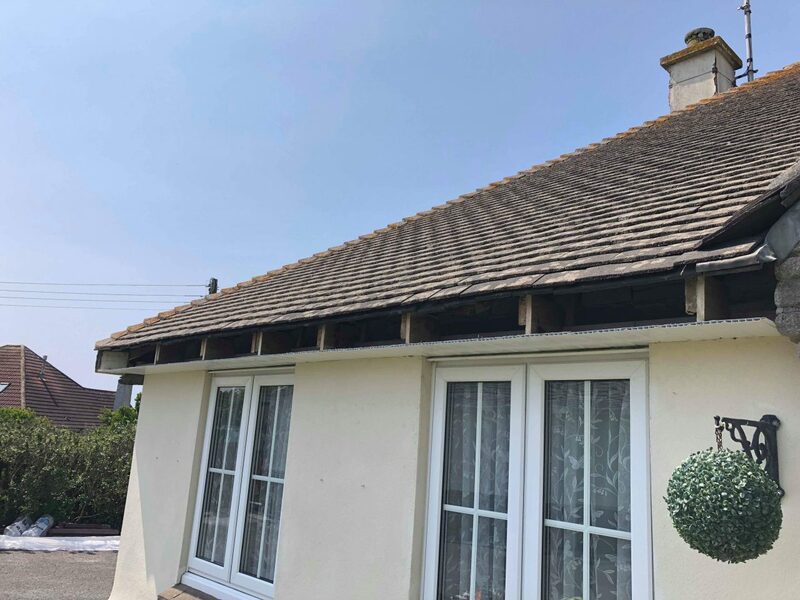 They removed all the old wood fascias and soffits and guttering and installed new white square guttering and down pipes. This is a repeat customer of Collingtons & Co and of ours also.